Blogging is a polarizing topic; it’s either one of those things business owners get really excited about or dread with a burning passion. Do you fall into the dread category? If you do, I bet you can relate to one (or all) of the reasons above. And if you don’t, you might reach a place someday where your excitement about blogging begins to fizzle and the dread starts to creep in. Explaining the benefits of blogging can be motivation in and of themselves to overlook those reasons and get started, but today I’d rather tackle the dread head-on and provide some practical, helpful ways you can make blogging work for you. Blogging takes time. And as a business owner, the thought of adding one more thing to your overflowing plate can be a little overwhelming. However, don’t rule blogging out just yet! Consider one or two of these ideas first. Think through the items that are already on your plate. Is there anything that takes up too much time, isn’t profitable, or could be delegated to someone else? If so, exchange the time you’re spending on that task for a few hours of blog post writing. Many people dread blogging because of the frequency. You aren’t required to publish a new blog post each day, so set realistic goals and start out slow. If you only have 2-4 hours to spare every other week, publish a new blog post every other week. If you have 2-4 hours to spare every other day, publish a new blog post every other day. It’s more about consistency than frequency. So start out slow and increase the amount of posts you publish if you can spare a little more time. Make blogging easier on yourself (and your schedule) by planning ahead. 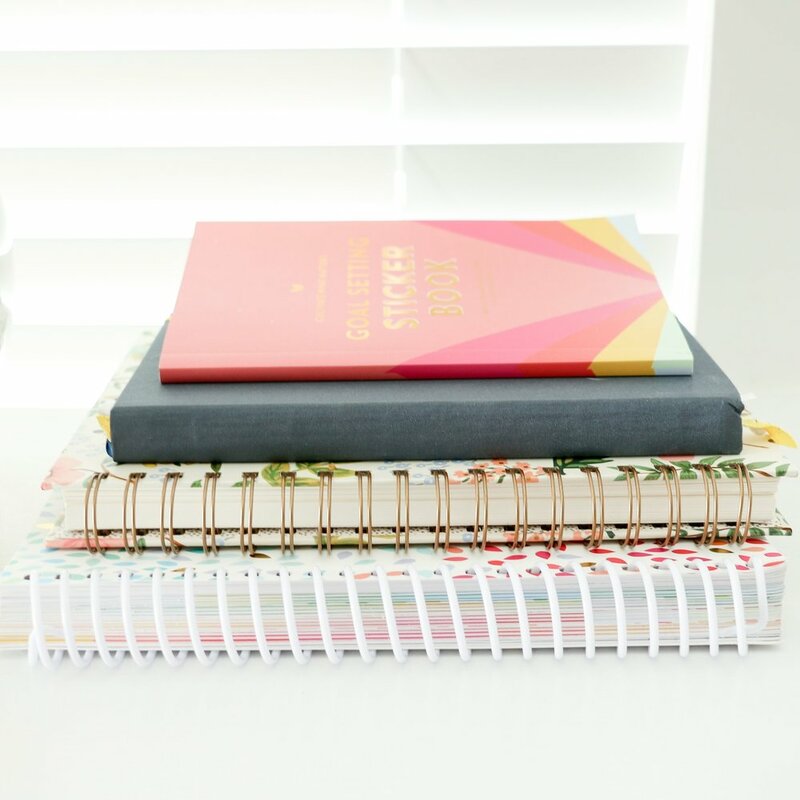 Instead of waiting until the last minute and wasting time trying to come up with a new blog post idea, set aside some time to brainstorm topics and create an ongoing list to pull ideas from. You can take it one step further by creating an editorial calendar to schedule out which post will be published when. This provides a little accountability, but I also find it easier to write a post if I know which topic I’ll be writing about ahead of time. It allows me to think through what I’m going to say and how I’m going to organize the information. Side note: I’ve found it’s often easier to write about a topic I’m excited about, too. If you’re running low on time, look through your list of blog post ideas and choose the one that gets you fired up. Not only will it shave off a few minutes of post creation, but you’ll probably enjoy the writing process a little bit more. I’ve found that cranking out all the steps above one sitting also saves me a lot of time in the long run, instead of taking breaks and coming back to it again and again. However, find out what works best for you and streamline your process to save some time in the long run. Side note: I also keep branded photos and a custom blog graphic template on hand for my posts, which saves a few extra hours each month. I would highly suggest utilizing them too, just to make things easier on yourself (while also building brand recognition). So you have the time, but you don’t have the confidence? It can be a little frightening putting yourself out there - especially when you don’t feel capable in the writing arena - but before you cash it in, check out these 3 ideas. Blogging can take many different shapes and forms, so switch things up with the format of your posts. Share long lists, stories, infographics, how-to’s, or tutorials. Or better yet, scratch the written content and opt for other forms of media like videos or podcasts and share them on your blog instead. Not only will this make things a little less intimidating on your end, but your readers will most likely enjoy the variety of content, too. If you don’t feel confident in your writing abilities and your time could be better spent elsewhere, consider bringing some other people on board to help. If you have the finances, hire a ghostwriter to write your posts for you. If you don’t need someone to go as far as writing your posts but you could still use a little help, hire a virtual assistant to edit your posts for you. Or if you just need a break in your blogging schedule every once in awhile, consider allowing guest bloggers to contribute to your site. When I first started blogging about business and design, I felt uneasy about the quality of my writing. And to be honest, my confidence in this area still wavers from time to time. But I’ve found that the more I write the stronger my writing becomes, the greater confidence I have in my writing abilities, and the more I actually enjoy sitting down and getting my thoughts on paper (or on the screen). In fact, my little blogging hiatus this past month made me realize just how much I enjoy writing. So I would encourage you to start writing and push through it. Strengthen your writing by reading more. Ask for objective feedback from others. The longer you stick with it, the more confident you’ll become and you might just find that like me, you enjoy writing much more than you originally thought you would. 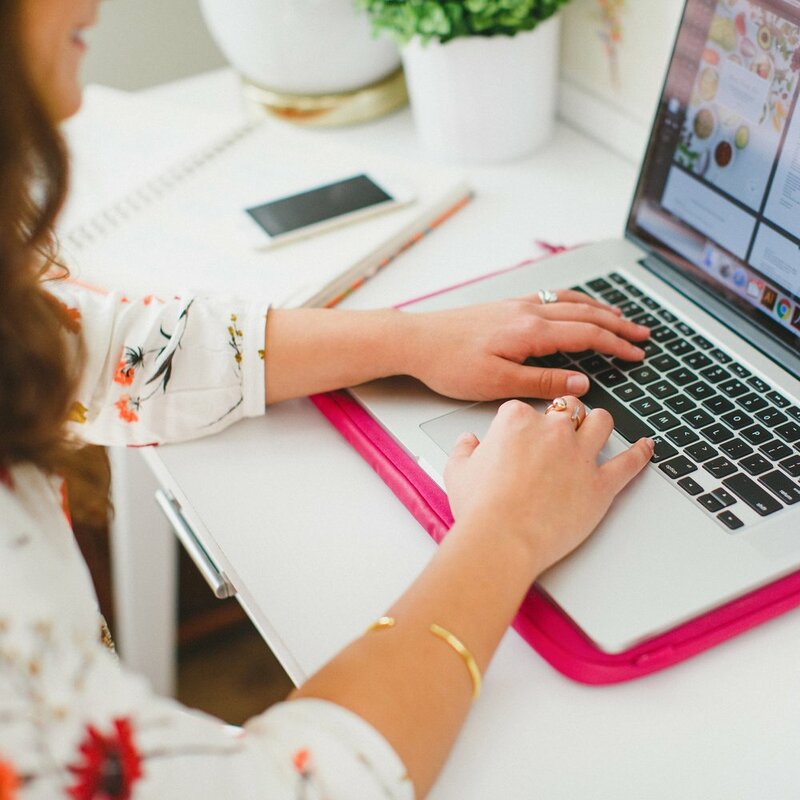 Is uncertainty over what you should be posting on your blog holding you back from getting started? Here are a few ideas to get those creative gears turning. If you’re asked the same questions on a regular basis, there are probably numerous people within your audience who could benefit from a post that answers them. Not only will your post be well-received, but you can also point back to it on your FAQ page or within emails (which will save you some time in the long run). If the purpose of your blog is to attract potential customers and clients, use your content to highlight your expertise and give readers an inside look at one of your processes. If you’re a photographer, share a step-by-step look at how you shoot a session. If you’re an interior designer, walk your readers through your client process from start to finish. Not only does this give you some quality blog content, but it builds trust with potential clients and highlights your authority in your industry. I’ve written a couple posts on this topic already, just for you. The more you post and get to know your audience, the better you’ll become at coming up with content your readers will enjoy and look forward to. Do you have the time, write well, and have plenty to blog about, but you don’t feel like you have enough authority in your industry to get your blog off the ground? When you’re constantly surrounded by the blog articles, tweets, and Instagram posts of your peers and competitors, it can be far too easy to play the comparison game and doubt how much you know about your industry. But you don’t have to be an expert to be a blogger. In fact, there’s a great chance that your ideal audience isn’t very familiar with your industry anyway, so you don’t have to worry about them measuring you up against others. So share what you know and exercise transparency your audience. You know more than you give yourself credit for. Because you’re so familiar with your industry, it can be easy to underestimate how much you truly know about it. So start at the beginning and pretend like you’re talking to someone who isn’t familiar with what you do. Break it down for your readers and share the basics. Your audience will enjoy learning more about your field and because the best way to learn is to teach, it will force you to do your research and learn more about each topic, too. Blogging doesn't have to be dreadful. If you're running low on time, don't feel confident about your writing abilities, are uncertain of what to write about, or underestimate your expertise in your industry, try the solutions above and give blogging a try. And with all the benefits of blogging for business, it would be riskier not to! What are your biggest blogging hang-ups? Did any of these solutions help you dread blogging a little less?